A recent slackening in the rate of price growth among Toronto’s residential properties might have led to greater vacancy rates in the city’s home listings, Realosophy Realty Inc. president John Pasalis said. 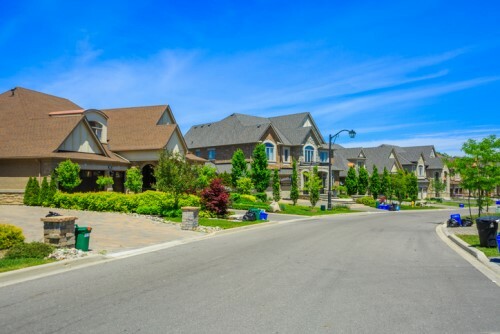 Numbers from the Altus Group showed that the benchmark price of new single-family homes in the GTA stood at $1,142,574 as of July, representing an almost flat 0.85% increase from June and 13.2% up from July 2017. Meanwhile, the benchmark price of new condominium apartments was $774,759, virtually unchanged from June but up 16.5% from July last year. As of this week, approximately 28% of GTA properties listed for sale through Toronto’s MLS are empty, up 17% from last year. Pasalis warned that this fraction might only grow larger in the future, especially since the actual number of vacant homes is almost certainly higher. Much of these listings are low-rises in the 905 region. Many sellers are hoping for prices to go back up to the levels they were at in 2017, and Pasalis noted that this likely played a major role in the increased vacancy. Pasalis is not expecting price growth to pick up its pace even during the historically active fall season, however.